Both onscreen and off, Hollywood's latest box office wonder keeps audiences guessing. Jeremy Renner Creates His Own "Legacy"
Chemically altered spy, horrifying serial killer, possessed superhero and tense bomb defuser. 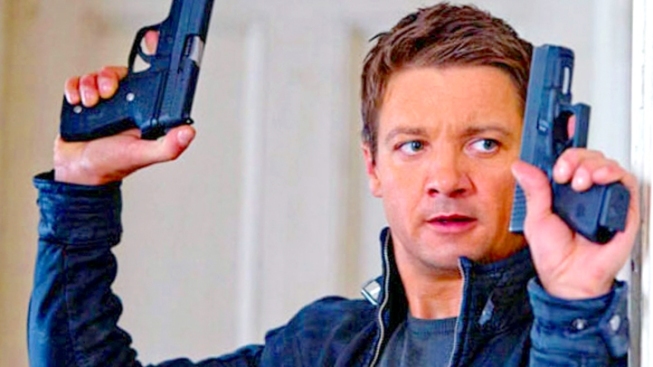 All roles that lead up to Jeremy Renner's $38 million blockbuster weekend as the star of "The Bourne Legacy." Hollywood gambled big on Renner and the reboot of Bourne, a franchise that has earned $944.85 million for the previous three films that starred Matt Damon. So big that a top talent lawyer (who wished to remain anonymous) told The Hollywood Reporter in January that Renner was not ready to carry a film yet. "Of course, the catch-22 is that no one will know whether he is ready until he does it," continued the lawyer. "And whichever studio gets that film will be the lottery winner." While it's still early days in terms of "The Bourne Legacy's" final box office haul, there's no doubt that Universal's gamble paid off with the film knocking "The Dark Knight Rises" from its number one spot. 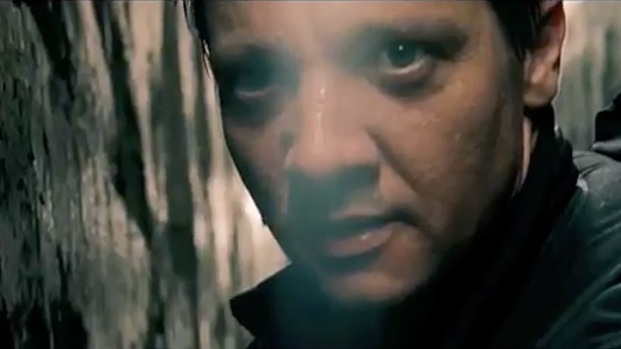 And for Renner, he becomes one of the most widely known unkowns in the movie business. Jeremy Renner takes over one of the greatest spy thriller franchises of all time, as a super agent who's the product of a top-secret government program. Co-stars Rachel Weisz, Edward Norton, Joan Allen and Oscar Isaac, opens Aug. 3. Like his "Bourne" character Aaron Cross, Renner is a difficult actor to keep in sight - both personally and professionally. In many ways it feels like he has burst onto the scene out of nowhere. But in actuality he has been working the Tinseltown trenches for almost 20 years. Cast back a decade and Renner's first notable role was creeping audiences out in "Dahmer," a biopic in which he played the titular role of the serial killer who murdered 17 men and boys between 1978 and 1991. Flash forward seven years and he's nominated for a best actor Oscar for his intense portrayal of a bomb expert in 2009's "The Hurt Locker." Another Academy Award nod - this time for supporting actor - followed thanks to his standout role in Ben Affleck's gritty drama "The Town." Critical acclaim is one thing, but true box office success is recorded in dollars. That monetary affirmation arrived for Renner in the form of 2011's "Mission Impossible: Ghost Protocol," which has grossed more than $690 million worldwide and proved he could go toe-to-toe with the likes of co-star Tom Cruise and hold his own. Further ensemble action success came with "The Avengers," in which he played the bow-and-arrow-wielding Hawkeye alonside Captain America, Thor and Iron Man. The superhero mash-up has grossed almost $1.5 billion worldwide since opening at the beginning of summer. Even through all that success, Renner landed in the leading man spotlight while remaining something of an enigma. At 41, he is a rarity among his male counterparts. No baby-faced up-and-comer relying on a fanbase of swooning tweens, he has a roughness reminiscent of a young Harrison Ford or Sean Connery. And his quality of work was established before his fame thanks to the kudos he received for "Town" and "Hurt Locker." Incredibly, Renner has pulled off an almost unbelievable feat in 21st century Hollywood: he commands a seven figure paycheck yet seems to avoid the public trappings that usually accompany it. He's the antithesis of Tom Cruise. An actor whose work continues to hold more appeal than his real life exploits. Of his personal life we know little. In Details magazine he said he's not very interested in talking about himself or addressing media rumors, especially about his relationships: "I don't pay attention to that horses***. Build 'em up to bring 'em down? I'm not going on that train, my son. I'm not going on that train. I'll walk. I'll take a bike," he said. "I'd rather just not be popular." In regards to relationships, Renner does admit to two long-term relationships with women. The first was a five year partnership while in his 20s and the second (lasting four and a half years) was with actress Jes Macallan, according to THR. That relationship ended just over two years ago when Macallan was just starting out in the industry. "That was part of the problem," Renner told THR. "I was going through the "Hurt Locker" campaign and she's like, 'Where do I get headshots?'" That matter-of-fact, tell-it-like-it-is frankness further clouds audiences ability to pinpoint Renner the man. He professes to hate the public scrutiny, but at times seems unable to censor himself when talking to the press. During the THR interview, he tears up when discussing the recent death of his French bulldog puppy of a heart attack, and what appears to be an ongoing battle with loneliness. Says Renner of the canine loss: "He was my solution for being so lonely." So he's a tough guy - Renner performed most of his own stunts on "Bourne" and in "Ghost Protocol" - with a heart of glass. Of his current state of romance, he tells Glamor magazine: "It's lonely. I'm doing the most amazing things and couldn't be happier, but I have no one to share it with outside of a director or someone I've just met. So now I'm back in LA after two years, and I've just seen my brother and I'm like, 'Where do I begin?'" Feel sad for him? Don't, because just as quickly as Renner reveals his tender side, he'll flip the tone and talk Viagra. During an appearance on "Jimmy Kimmel Live!" to plug "Bourne," Renner regailed the audience with a tale of mixed medications on a flight from Los Angeles to London. "I had to get off the plane to go to work, so I had to sleep on the plane," Renner recalled on the show. "So I take a little sleeping pill, pop it and realize nothing's happening – but something else was happening." What he thought was Ambien was actually Viagra, given to him by a friend according to the actor. "Not only did I not sleep the entire flight," he said of his 10 hour trip, but he also had to contend with pant "camping." "There was no walking," he added. "If I had to go to the restroom, it was so embarrassing." Not one to place all his career eggs in one basket, while Renner was in struggling-actor mode he pooled what little money he had with friend Kristoffer Winter and invested in a fixer-upper house in Los Angeles. The pair share a knack for remodelling and since 2002 have bought and sold more than 15 houses - each one slightly bigger and more challenging a renovation than the last. Why? "I hated paying rent," he told Esquire. "It was just money going out the window." His building career and acting have played out simultaneously - both slow and steady with ever-growing payoffs. "I'm very lucky," Renner said to Esquire. "I could have pretty easily been driving a forklift." Next up audiences can see Renner in "Hansel and Gretel: Witch Hunters," out January 11, 2013. Paramount originally had the action-horror flick slated for an early 2012 release but held the film over in a move some industry insiders believe was to capitalize on Renner's growing profile thanks to "The Avengers" and now "Bourne." If so, it was a smart move. With "Bourne" cementing Renner's status as a leading man, let's hope he continues to keep audiences guessing - even as his profile grows larger on the pop culture radar. That unpredictability is why we keep tracking his moves, making sure we don't miss anything as his journey moves from unkown ensemble player to Hollywood headliner and beyond.